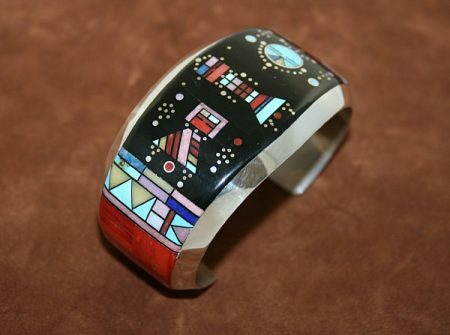 Winner of numerous awards ranging from the Santa Fe Indian Market, Navajo Nation Fair, Museum of Northern Arizona and the New Mexico State Fair, Jim Harrison is renowned for the creation of complex and intricate inlay jewelry. His work often depicts the night sky, yei and Yeibechai figures and desert landscapes. 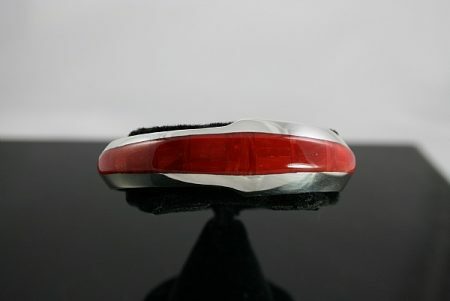 Each piece is unique and highly collectible. Jimmy was mentored by the famous master silver and gold smiths, Preston and Jesse Monongye. 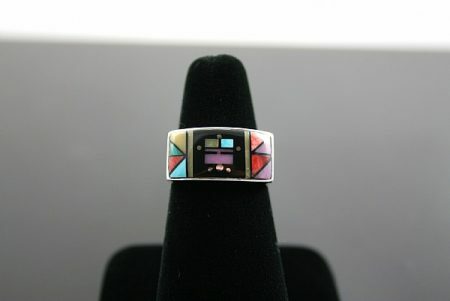 This beautiful piece hand made by award winning Navajo artist, Jim Harrison, portrays amazing multi color inlay in sterling silver. 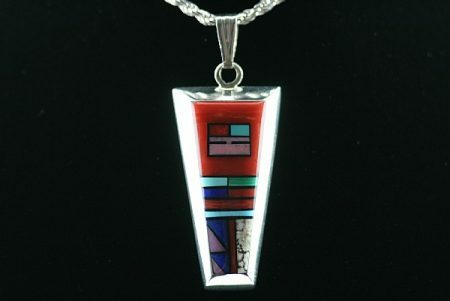 The item features a gorgeous Yeibechai design with onyx, gem grade coral, sugulite, Sleeping Beauty turquoise and lapis lazuli as well as exceptional intricate design. 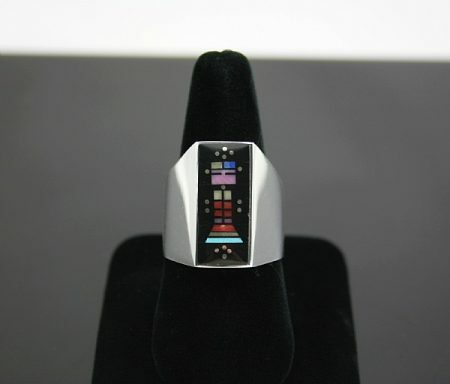 In the Navajo religion, the Yeibechai represents a supernatural being with the power to heal. 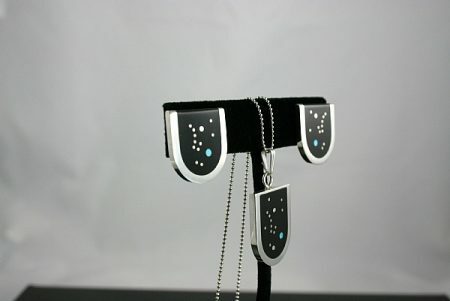 This dramatic yeibichai bracelet by award winning Navajo artist, Jimmie Harrison, depicts a night sky filled with stars and constellations behind a male and female yei along with a sun/moon symbol. 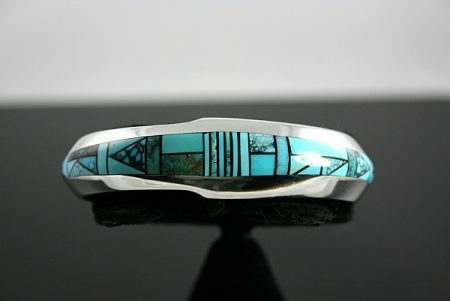 Jimmie is a featured artist in the new Dexter Cirillo book, Southwestern Indian Jewelry. 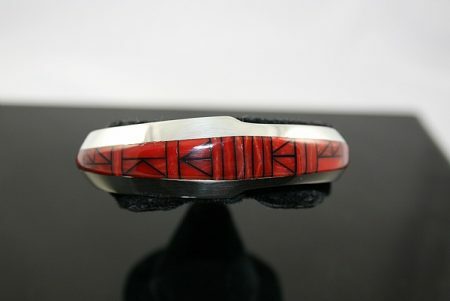 His intricate inlay is legendary and this is one of the most spectacular bracelets he has ever created. The materials are Pacific and Mediterranean gem grade coral, lapis, opal, natural turquoise, all set into field of black onyx. We have the great privilege of representing Jim Harrison with this piece on page 237 of Dr. Gregory Schaff's definitive new book American Indian Jewelry II: A-L 1,800 Artist Biographies.